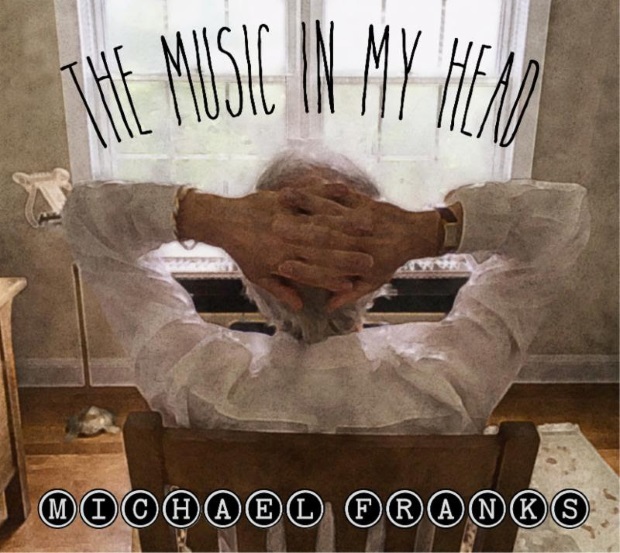 With his uniquely understated brand of vocal phrasing and nuanced tone, Michael Franks has repeatedly—and ever-so-subtly—wowed fans of jazz, soul, and pop music over the past 40-some years. Whether the setting be the slyly suggestive sway of early nuggets such as “Eggplant” and “Popsicle Toes”; the funky-jazzy lilt of 1983’s “When Sly Calls”; the picturesque groovescape of 1990’s “The Art of Love”; or any of dozens more standouts spanning his previous 18 albums, Franks has proven time and time again: there’s no other who can touch his mastery of getting the most out of any lyric and melody by letting it all flow as naturally as an intimate conversation occurs. The Music in My Head, Franks’ first set since 2011’s Time Together, displays as aptly as ever his ability to convey a breadth of topics in a seamless manner that feels like a choice road trip set to the most mellow—yet colorful—of soundscapes. One moment, the exploration is of the blurred lines between a surreal present and machinized future (“Suddenly Sci-Fi”); another, there’s marveling of the most beautiful and real of nature’s gifts (“The Idea of a Tree”). It’s precisely Franks’ willingness to delve into unorthodox terrain within the structured sensibility of time-honored jazz arrangements that makes his delicately delivered lines so powerful. Of course, the simple pleasures of pure love are at the heart of a handful of selections, but not with any hint of the tiredness or monotony that so often plague both popular and jazz tunes striving for a similar message. On “To Spend the Day with You,” the juxtaposition of the suggestion to “call in sick like others do…Say we don’t want to catch the flu” with the confession that “Love’s still my drug of choice” is charming in its directness. “If we’re considered recluses, so what!” Franks declares. “‘Cause I don’t care, do you?” The subsequent “Candleglow,” however, reigns as the supreme chill-out anthem of peaceful romance and quiet sensuality. “The grind’s obscene, can’t we turn the brightness down upon the screen,” Franks grapples remarkably softly. “We close the door behind us…Can the world disturb our peace here? No, when we’re bathed in candleglow.” Ahh. Paying homage to the cats who inspired his love of jazz back in the 1960s, Franks exemplifies the art of unaffected cool within his perfectly paced narrative of “where the bebop players play” in “Bebop Headshop.” “Nothing could compare with all the crazy things they’d say, saxophonically,” he relates with unrushed melodic bliss. Then, the reflective title tune encapsulates the importance of nature’s connection to music in his creative process. It’s illustrated lovingly with Bob Mintzer’s vibrant sax, Rachel Z’s quaint piano work, and David Spinozza’s catching guitar flourishes. Maybe it’s because he’s never felt compelled to push or force his chords in order to draw listeners in, or maybe it’s simply one of nature’s gifts. But Franks has lost none of the warmth or shine of his palatable interpretational prowess over the years. His contemplative nature is at once vocally relaxed and refreshed, continually. The Music in My Head zeroes in on those qualities from start to finish, and once again showcases the alluring lyrical precision he affirms in each chapter along the way. Highly Recommended.